This figure comes from the June 2017 OhmHome Solar Index, which covers most major solar markets spanning 17 states over 40 cities—a sampling which represents more than 85% of the total US solar market. Of these, Florida has seen the most growth in solar panel permits. The month of June was a particularly strong showing for the state, with a whopping 215% increase over 2016. This trend of upward momentum shows that Floridians are beginning to see the plentiful advantages that go hand in hand with solar power. The Orlando solar panel market, especially, has risen as one of the nation’s top cities for solar as solar pricing has dropped by nearly 60% in the last five years. One factor helping to keep the Florida market thriving could be the incentives offered to homeowners helping them save on solar. For instance, the Florida state government exempts new solar customers from additional property taxes when purchasing their solar energy system. Originally set to expire in both 2002 and 2005, this tax exemption was made permanent in order to continue promoting this clean alternative energy source for years to come. 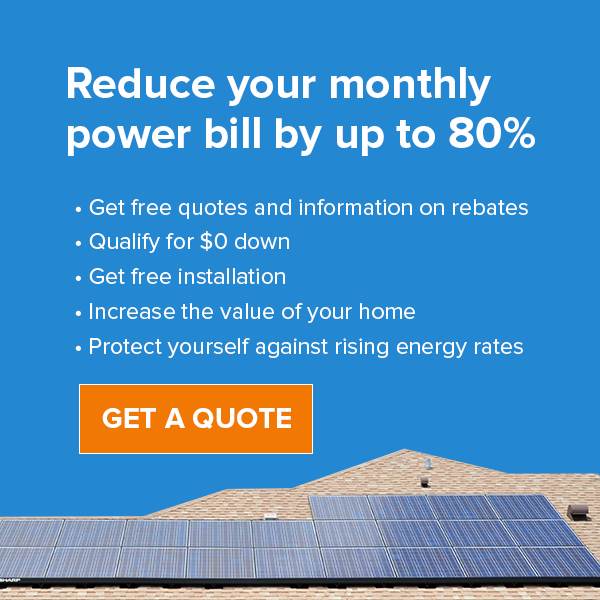 Florida homeowners are also eligible to participate in net metering, wherein the electric company will credit customers for any energy their solar system pushes back into the grid. Then, when solar panels are not producing enough electricity for an individual household, those net metering credits are automatically used for that property, providing additional savings by eliminating the need to buy electricity from the power company. Other U.S. states have lead the solar revolution in past years, but the Sunshine State is finally picking up the torch and leading the charge toward lower energy bills and environmentally-friendly initiatives. To receive a free quote and analysis for your home or business, visit our website and speak to an energy specialist today. It’s time to make the Florida sun work for you!